Sweet and Sour Meatballs is totally a thing my family would have for dinner growing up. I remember liking them, but I do not remember what was in the sauce or what we ate them with. These Sweet & Spicy Orange Meatballs are super easy, and could be easily adapted to be made in the crockpot. All it takes is a few ingredients and 30 minutes and you’ve got a delicious appetizer or put them over rice or potatoes for an easy dinner. Even if you’re like our family, and don’t really get into the whole football party thing, you can still get into the tasty food. I mean, really. Appetizers are usually the most tasty things on the menu. My husband and I have been known to get just a few appetizers to share when we go out to eat (which really isn’t that often). Anyway, these these meatballs are super tasty! They only take a few simple ingredients and 30 minutes and you’ve got some super tasty bites of goodness! 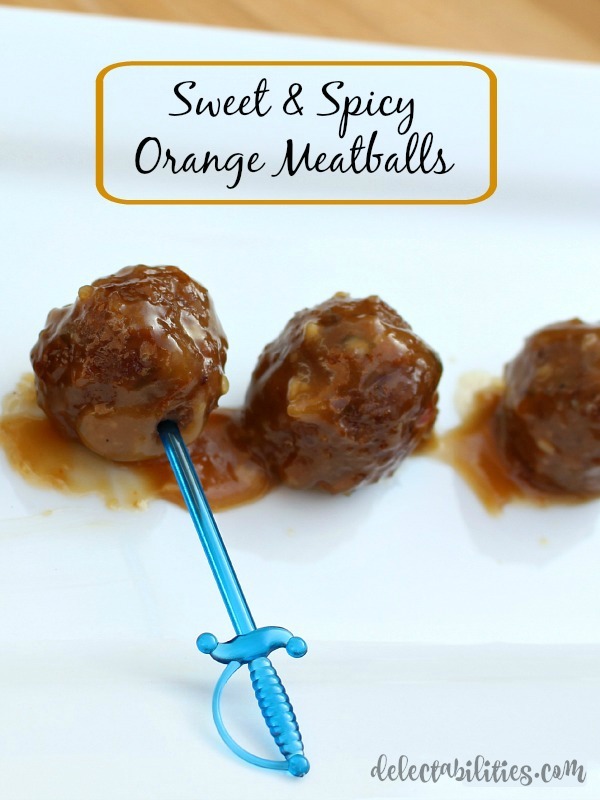 These Sweet & Spicy Orange Meatballs are perfect by themselves and would be an awesome appetizer for tailgating or any other gathering of people who like good food. They have just a little bit of spice to them (and you can definitely make it to your taste by adding more or less of the garlic chili sauce). To be honest, though, our family eats this as main dish. It’s best over mashed potatoes, but we also like it over rice. It’s super quick for a weeknight and my kids all love it! 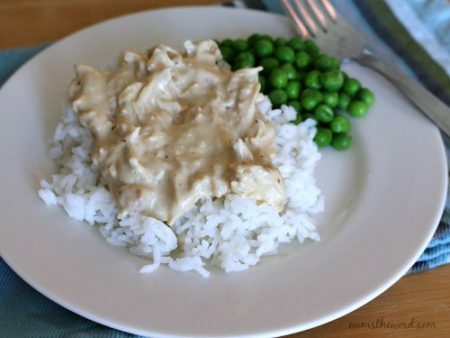 As an update September 2018 – this is still one of our family’s favorite meals. It is requested by my husband on a regular basis and the kids are always asking for meatballs! Mix all ingredients in large saucepan over medium-low heat. Cover and bring to a simmer, stirring occasionally. Continue cooking 15 to 20 minutes or until heated through. Serve as an appetizer, or over mashed potatoes or rice. 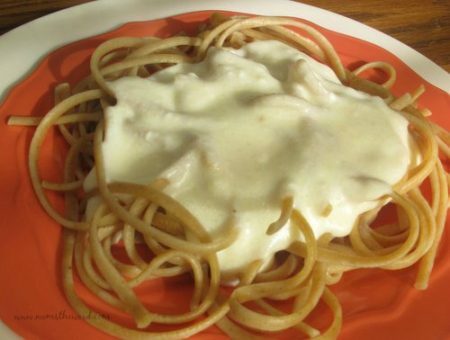 Although this alfredo is on the healthier side, you wouldn’t know it because it tastes amazing!